The Book details the CMMI High Maturity practices and guides in your CMMI L5 Journey. The Book details on how to practically implement CMMI ML5 and how to interpret the High Maturity practices. The Book contains sample cases from CMMI Dev and CMMI Svc, with the entire High Maturity Lifecycle and relevant application of statistical techniques. The book is a must have for everyone in CMMI Journey! 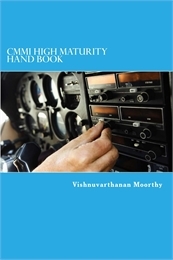 CMMI High Maturity Handbook Indian Edition Vishnuvarthanan Moorthy Copyright © 2015 Vishnuvarthanan Moorthy All rights reserved. DEDICATION TO THE SUPREME POWER!. CONTENTS 1	High Maturity an Introduction	1 2	Prerequisites for High Maturity	Pg 5 3	Planning High Maturity Implementation	Pg 8 4	SMART Business Objectives and Aligned Processes	Pg 17 5	Measurement System and Process Performance Models	Pg 29 6	Process Performance Baselines	Pg 70 7	Define and Achieve Project Objectives and QPPOs	Pg 93 8	Causal Analysis in Projects to Achieve Results	Pg 113 9	Driving Innovation/Improvements to Achieve Results	Pg 131 10	Succeeding in High Maturity Appraisals	Pg 150 11	Reference Books, Links and Contributors	Pg 154 1 HIGH MATURITY AN INTRODUCTION CMMI High Maturity Level is one of the Prestigious Rating any IT/ITES Companies would be interested in getting. The Maturity Level 4 and 5 achievement is considered as “High Maturity” since the Organizations understand their own process performance and its impact on Business performance. In addition, they bring world class practices to improve the Process Performance which meets the Business Needs. CMMI Institute has kept very high standards in appraisals to ensure that stringent evaluations are done before announcing the High Maturity Results. Similarly the practices given at Level 4 and Level 5 are having high integrity and complete alignment with each other to stimulate Business Performance. Hence it’s become every Organizations interest to achieve High Maturity Levels and also when they see their competitors have already been appraised at that level, it becomes vital from marketing point of view to prove their own process Maturity. The ratings are given for the processes and not for product or services. Hence a High Maturity Organization means that they are having better equipped processes to deliver results. Why not every Organization goes for Maturity Level 5 is a question which is there in our mind for quite some time. It becomes difficult simply because the understanding on High Maturity concepts are low in many organizations, advanced quality practices, better competent project managers, statistical usage, longer cycles to see results, etc are some of the reasons which prevents organizations to reach this milestones. In 2006 when I was an Appraisal Team Member looking at evidences for Maturity Level 5, I and the Lead Appraiser has mapped the Scatter plot of Effort Variance vs Size for Process Performance Model. After 9 years when we look back, the Industry has moved on and so does the CMMI Model V1.3. There is much better clarity on what is expected in CMMI High Maturity. Similarly in 2007 there was a huge demand for Statistics Professors in Organizations which goes for CMMI High Maturity and some organizations have recruited Six Sigma Black belts to do CMMI High Maturity Implementation. More than looking at business results achievement, there was huge stress on applying statistics in its best of form in organizations. However with CMMI V.3 model release, CMMI Institute (then “SEI”) has ensured that it provides many clarifications materials, certifies Lead Appraisers as High Maturity Lead Appraiser, and conducts regular workshops by which many people in Industry has benefitted with adequate details on what is expected in a CMMI High Maturity Organization. However still there is concern that this knowledge has not reached many upcoming small and medium sector companies as intended. Also in bigger organizations when they achieve ML4 or ML5, only a limited set of people work on this and/or in a particular function as part of implementation. These factors reduce the number of people who can actually interpret ML5 without any assistance. This also means very few organizations are within comfort zones of High Maturity Implementation. The Purpose of this book is to give insight about High Maturity Implementation and how to interpret the practices in real life conditions of an organization. 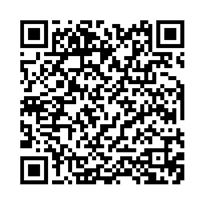 The book is written from Implementation point of view and not from technical expectations point of view. The usage of CMMI word is trademark of CMMI Institute, similarly the contents of the CMMI model wherever we refer in this book is for Reference purpose only and its copyright material of CMMI. I would recommend you to refer “CMMI Implementation Guide” book along with this book for understanding up to CMMI ML3 practices and its implementation. This book deals only with CMMI Maturity Level 4 and 5 practices. I have tried covering CMMI Development model and Services model implementation in this book. High Maturity Organizations has always been identified with their ability to understand the past quantitatively, manage the current performance quantitatively and predict the future quantitatively. High Maturity Organizations always maintains traceability with their business objectives with Process Objectives and manage the process. In addition they measure Business results and compare with their objectives and perform suitable improvements. However even a Maturity Level 3 organization can also maintain such traceability and measure their business results, which is the need of the hour in Industry. I am sure CMMI Institute will consider this need. In addition there is a growing need of engagement level benchmarking which clients are interested. The client wants to know whether their projects have been handled with best of the process and what is the grading/rating can be given. The current Model of CMMI is more suitable for Organizational unit/Enterprise wide appraisals; however engagement level rating needs better design or new recommendation on how do the process areas are selected and used.There is a growing need for Engagement level Maturity assessment from users. In High Maturity Organizations we typically see a number of Process Performance Baselines, Process Performance Models, Causal analysis Reports, Innovation Boards and capable Process to deliver Results. In this book we will see about all these components and how they are created. The flow of the book is designed in that way, where we go by the natural implementation steps ( in a way you can make your implementation schedule accordingly) and then end of the relevant chapters, we will indicate which process area and what are the specific practices are covered in it. However you may remember the goals have to be achieved and practices are expected components only. Similarly we will not be explaining the Generic Practices, as you may read the same in “CMMI Implementation Guide” book. Also for the beginners and practitioners in quality, to refresh and learn different techniques in quality assurance field, you can choose to refer “Jumpstart to Software Quality Assurance” book. Let’s start our High Maturity Understanding Journey Now! 2 PREREQUISITES FOR HIGH MATURITY CMMI High Maturity in an organization is not an automatic progress which they can attain by doing more or increasing coverage of processes; it’s a paradigm shift in the way the organization works and project management practices. CMMI High maturity is an enabler and a sophisticated tool in your hand to predict your performance and improve your certainty. It’s like using a GPS or Navigational system while driving, isn’t great! Yes, however the GPS and Navigational system for you will not be procured, instead you need to develop. Once you develop and maintain it, it’s sure that you will reach your target in predictable manner. In order to implement CMMI High Maturity in any Organization, the Organizations should meet certain prerequisites, which can make their journey easier, *Strong Measurement Culture and reporting System *Detailed Work Break Down Structures and/or detailed tracking tool of services *Good Project management tool *Strong Project management Knowledge *Regular Reviews by Senior management *Good understanding on tailoring and usage *Established Repositories for integrated project management tool *Strong SEPG team with good analytical Skills *Statistical and Quantitative understanding with project managers and SQA’s (if needed, can be trained) *Budget for Investing on Statistical and management tools and their deployment *Good Auditing System and escalation resolution CMMI High Maturity is not: *Not a diamond ornament to flash *Not a competitors demand or client demand *Not one of colorful certification in reception area *Not an Hifi language to use *Not a prestigious medal to wear *Not a statistical belt to be proud CMMI High Maturity is: *A performance enhancing tool for your organization to achieve results *Makes you align your business Objectives with project objectives *Statistical concepts add to certainty and better control and removes false interpretations *It makes you competitive against your competitors *A Maturity Level in which you maintain the maturity towards reacting to changes If you believe that by spending twice or thrice the money of your CMMI ML3 implementation you can achieve High Maturity, then you may be making a big mistake! Not because it may never be possible, but you just lost the intent. Unfortunately today not many realize it, but they want to show their arm strength to the world by have CMMI Ml5. However it’s a real good model at L3 itself, which can do wonders for you. Why to fit a car which travel in countryside with autopilot equipment, do you need it, please choose. High Maturity practices are the near classic improvements made in software process industry in a decade or so. At this moment this is the best you can get , if applied well! Not many models and standards have well thought about maturity and application of best practices, as given in CMMI ML5 Model. So if you really want to improve and be a world class organization by true sense, just close your eyes and travel this path, as its extremely pleasant in its own way!